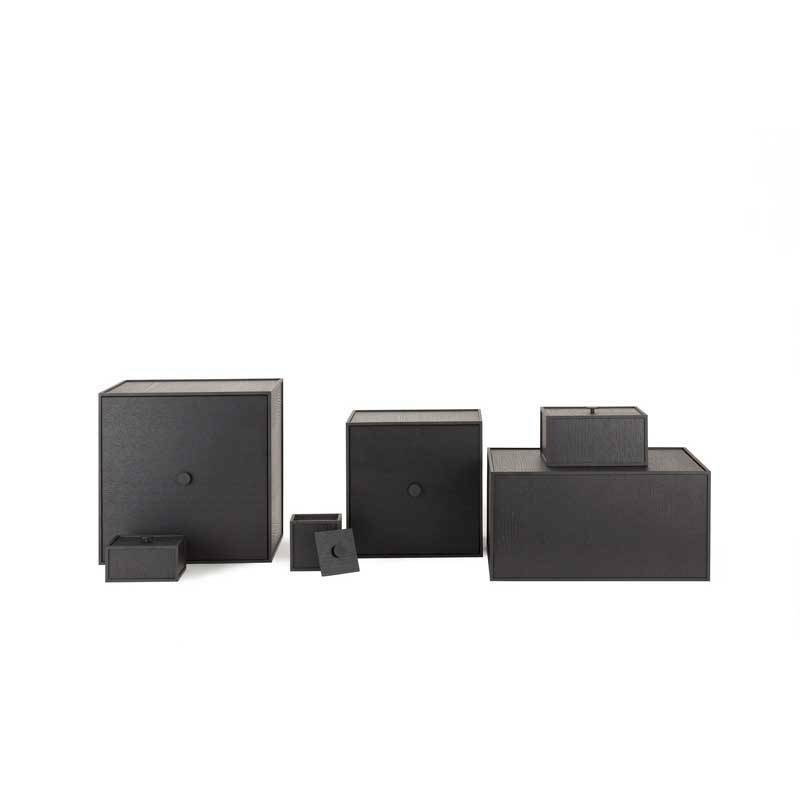 Frame is a versatile and flexible system consisting of cube-shaped boxes and boxes. With Frame you can create a personal and beautiful storage space. 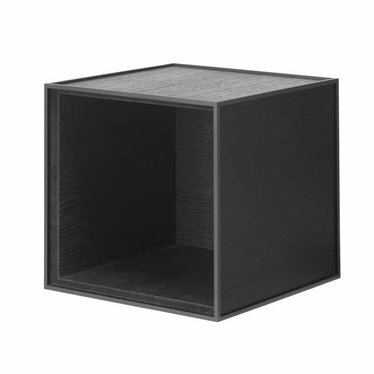 The cabinets can be combined with each other into a unique wall cabinet where your personal preference for size, depth and finish is central. Frame can also be placed on the floor, solo or multiple cabinets stacked on top of each other. You can make a 3D wall shelf with a number of identical boxes, but you can also make a composition of different shapes and finishes. There are matching doors and for the larger sizes there are also separate shelves available, which you can then mount on the desired height (or width) in the cabinet. The hanging system for the wall is invisible and the shelves are also inserted into the cupboards with an invisible bracket. The doors are equipped with stylish black lacquered knobs. Frame was created from a sketch design by the Danish architect Mogens Lassen from 1943. With this handy tool from By Lassen you can make your own design with Frame. 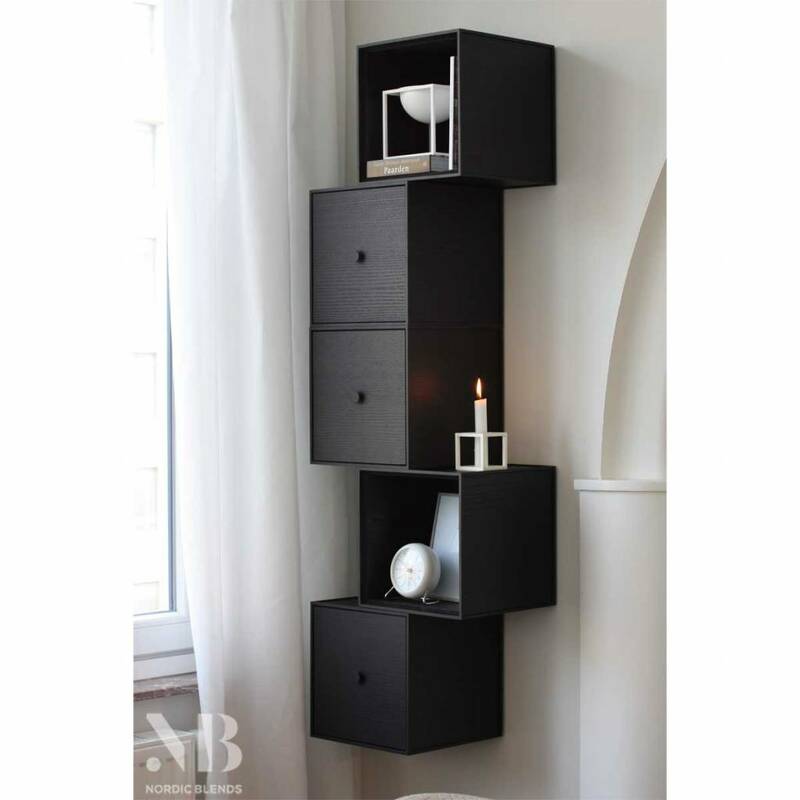 It is even possible to add By Lassen accessories such as candlesticks or furniture for a complete and styled image. The By Lassen configurator can be found here . More information and the assembly instructions for Frame can be found here .